The Lady Stardust collection by Stephen Webster is bound to dazzle with this electrifying necklace. 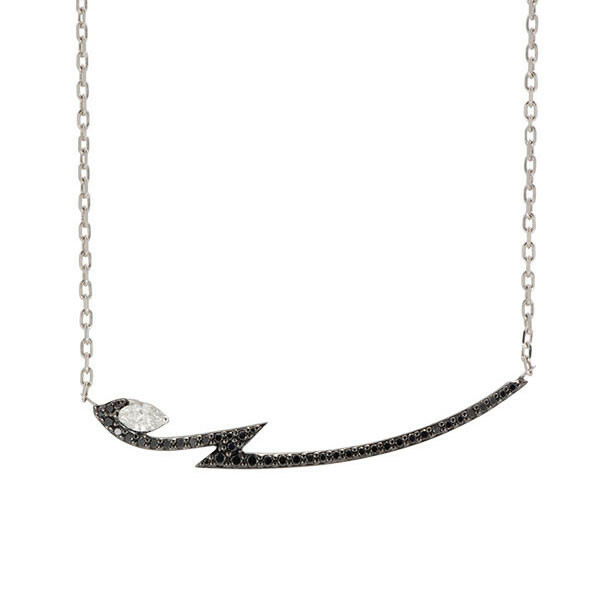 A lightening bolt of 18K white gold is adorned with scintillating black diamonds, and a white diamond with a marquise cut is housed in one of the zig zags for a unique look. If you want a little glamour in your style, try this Stephen Webster necklace.